Troy Lighting New construction adjustable 3-Inch recessed LED eco-downlight housing employs 24-Watt LED lamp with average life of 50000 hours to deliver light of brightness 1900 Lumens. LED Lamp has color rendering index of 90 and color temperature of 2700K. Air-tight housing features aluminum construction and black powder coat finish for longer endurance. It has black powder coat steel junction box that has four 1/2-Inch and four 3/4-Inch trade size knockouts. Housing with 3-7/8-Inch cut out, measures 16-5/8-Inch x 10-7/8-Inch x 6-1/2-Inch. 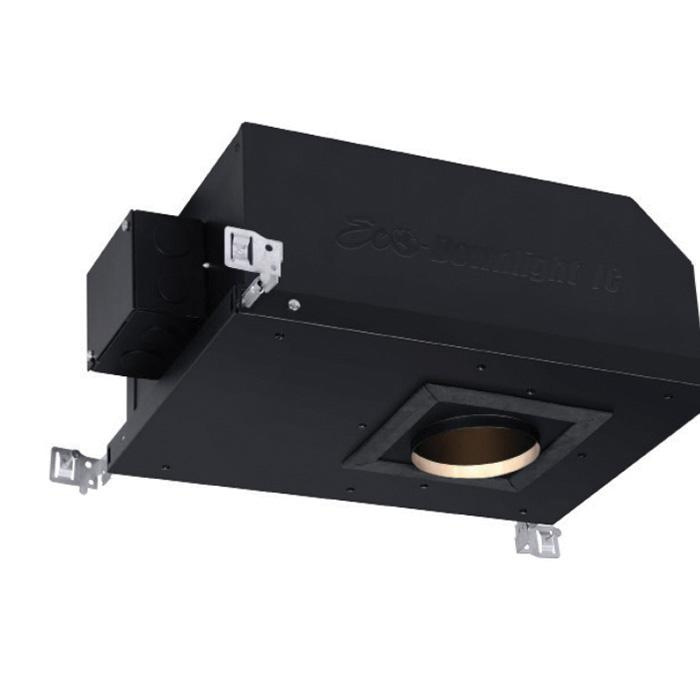 Dimmable LED eco-downlight housing uses integral 120 - 277-Volt input LED driver of power factor 0.99 for reliable operation. Housing supports installation on ceiling of thickness 1-Inch. It comes with galvanized steel adjustable hanger bars as well as 30-degree, 50-degree and 80-degree optics. Housing is UL and cUL listed.